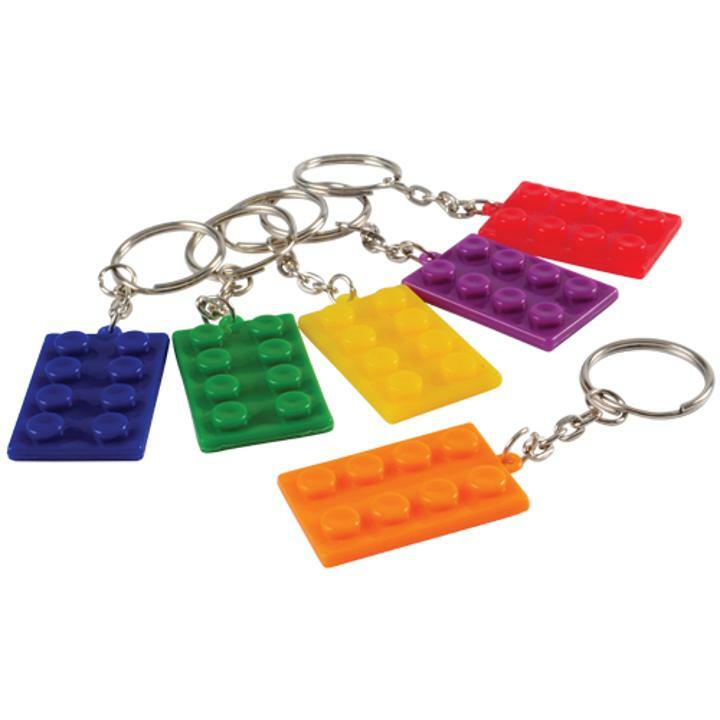 Cheap Block Mania Keychains - 12 Ct.
Block Mania Keychains - 12 Ct. Build the perfect goody bag for your child's next party with these building brick-themed keychains! Modeled after his favorite toy, these feature a pendant with the familiar brick building patterns kids love, and as an added bonus the key ring can be used as a backpack pull. A great party favor for a ever-growing popular party theme, Block Mania! L: 6.0 in. W: 0.95 in. H: 5.5 in.